The entrance to Szechenyi Baths is not cheap, but it is affordable. In any way, there is no refund. Older travel books and outdated Budapest travel guides or old forum threads may confuse some tourists regarding the tickets, stays and refunds. 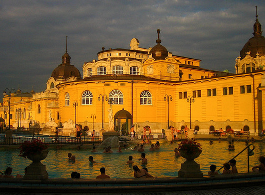 True, there used to be a refund system at Szechenyi Baths, but the refund system is no longer in use. So if you buy a full time ticket but only spend 2-4 hours at the baths, you will not be refunded anything. 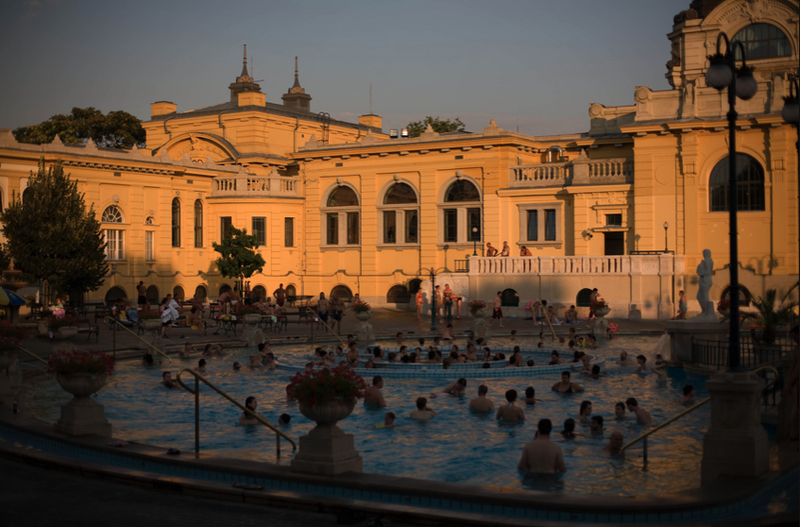 Instead of the old refund system at Szechenyi Spa Baths, there are morning tickets, afternoon tickets and evening tickets in addition to full day tickets. The ‘day section’ (i.e. 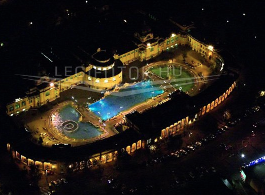 morning and evening) tickets allow you to stay for 2 hours, the full day ticket allows you to stay any time of the day for any hours (as long as the facilities are open – please note, that after 7pm only the outdoor pools are open and there are no regular bath services, or late night massages). 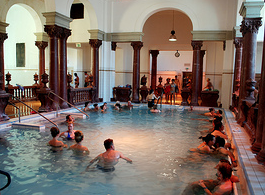 Buying the full price ticket is a good investment we think, as the baths and pools, the massage therapies, etc. 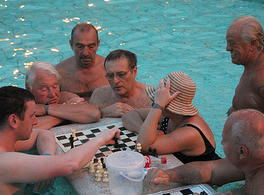 are really fun and relaxing, a perfectly lovely way to spend a full afternoon or morning in Budapest. 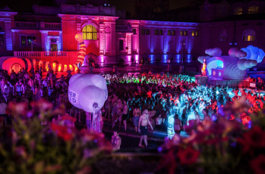 Can the evening ticket be used to enter outdoor pools during 5-7pm? For instance, I use it to enter the indoor baths at 5pm, and then I might want to go outside. Do I have to wait after 7pm to do so? no, you can use the outdoor pools any time, but the indoor pools will close at 7pm. If I purchase a full day ticket, is it possible to leave the spa and come back later on the same day using the same ticket? Or are we only allowed 1 entry? unfortunately you cannot enter twice with the same ticket. Thank you for your understanding. 2) Is the facility wheelchair friendly? I am afraid a bath ticket is valid only on the day that is was booked for. Changing the date of your booking is possible min. 72 hours in advance. Yes, the Baths is accessible with wheelchair too. I’m a bit curious what will happen if a morning ticket user exits after 8AM. Will his wristband detect it and automatically tell him to pay an additional fee? Sorry if this has been asked before.